Linda L. Nay is Partner of Administrative Services, working closely with the other firm partners in the management of the firm, overseeing the administrative department and serving as the firm’s human resources director and IT coordinator. Linda has been with the firm for more than 30 years and has served as a receptionist, administrative support specialist and office manager. In 2010 Linda was named the Top Firm Administrator among Enterprise Worldwide’s member accounting firms. The award recognized her contributions to the firm’s long-term growth, achievement of strategic goals and profitability. It also recognized her leadership in creating an employee-friendly culture and her emphasis on entrepreneurship, continuous learning, marketing and client-service skills. 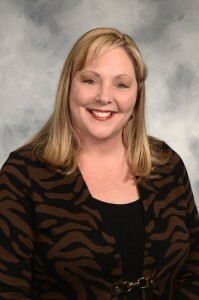 Linda holds a bachelor’s degree in business administration from Bowling Green State University. She is a member of the Association for Accounting Administration.